Spices are called by different names in different regions of India. 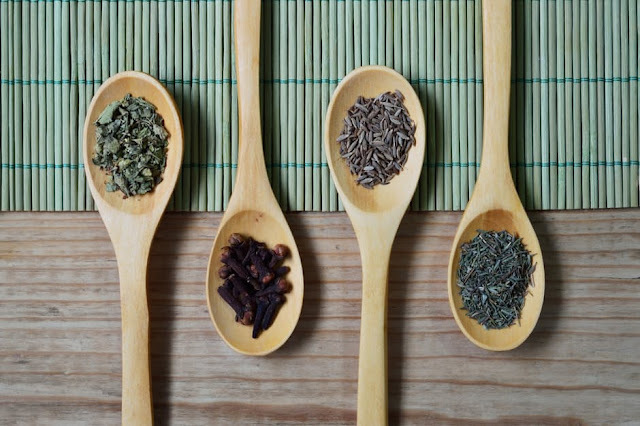 When it comes to names of spices in english and other languages most of us are confused. This is because we are so used to calling these products in our regional languages. We have made a detailed list that will help you search for relevant names in different languages like english, hindi etc for most of the spices that add to the distinct taste of our Indian cuisine. Asafoetida, also commonly known as 'hing' in Hindi, has a pungent smell which is very distinct in nature. This spice is mostly used in pachaks for digestive aid, in food it is used as a condiment for flavouring. Asafoetida or hing as we commonly know it is mostly used to add seasoning and flavours to indian dishes like dals (lentils), sambars, pickles and many more spicy vegetarian dishes. This herb is known to have many health beneficial properties like it is anti-flatulent, anti-inflammatory, antimicrobial, laxative, nerve stimulant, expectorant and sedative. What is Asafoetida Called in Hindi and Other Indian Languages(Regional) ? Asafoetida is the English name for this herb, it is scientifically called as Ferula foetida. It is commonly named as Hing in Bengali, Gujarati, Hindi, Marathi, Punjabi, Hingu in Kannada, Oriya, Yangu in Kashmiri, Perungayam in Malayalam, Tamil, Inguva in Telugu. Chilies, also commonly known as mirch in Hindi, are known to be very healthy for the body and offer many health benefits. Make chilies a part of your daily diet to reap its benefits. In many countries chilies are used for medicinal purposes. Did you know that we Indians are the world’s largest consumers of chilies. What are Chilies(Mirchi) Called in Hindi and Other Indian Languages (Regional)? 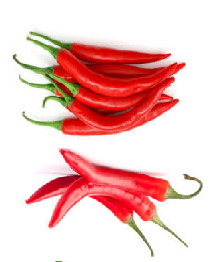 Chilies is the English name for this condiment, it is scientifically called as Capsicum annuum. It is commonly named as Mirch in Hindi, Lanka in Bengali, Orissa, marcha in Gujarati, Menasina kayi in Kannada, Marach wangun in Kashmirie, Mirchi in Marathi, Mulaku in Malayalam, Mirchan in Punjabi, Milagai in Tamil, Mirapa kayi in Telugu. Cloves are one of the most expensive spices, They are known world over for their uses in both medicine and food. Cloves are loaded with nutrition and healthy properties. They are often used in Ayurvedic medicine for their anti-fungal, antibacterial, antiseptic and analgesic properties. Cloves are loaded with antioxidants and are a rich source of minerals, omega-3 fatty acids, fiber and vitamins. What are Cloves Called in Hindi and Other Indian Languages(Regional)? Clove is the English name for this spice, it is scientifically called as Syzygium aromaticum. It is commonly named as Lavang in Gujarati, Hindi, Marathi, Labanga in Bengali, Orissa, Lavanga in Kannada, Ruang in Kashmiri, Krambu in Malayalam, Tamil, Long in Punjabi, Lavangalu in Telugu. Coriander is a herb commonly called Dhania in India and Cilantro in America and Europe. It is a herb which is commonly used as a condiment to garnish dishes. Coriander leaves have a very pleasant aroma which it adds to the food. It is used in both forms fresh and dried in cooking. Coriander is loaded with many health benefits that most of us don’t know about. This herb can be used in the treatment of skin inflammation, skin disorders, diarrhea, mouth ulcers, high cholesterol levels, anemia, menstrual disorders, indigestion, smallpox, conjunctivitis, and blood sugar disorders. What is Coriander Called in Hindi and Other Indian Languages(Regional)? Coriander is the English name for this herb, it is scientifically called as Coriandrum sativum. It is commonly named as Dhaniya in Hindi, Bengali, Gujarati, Orissa and Punjabi, Kothambari in Kannada, Daaniwal in Kashmirie, Kothambalari in Malayalam, Dhane in Marathi, Kothamalli vidai in Tamil Dhaniyalu in Telugu. Cumin seeds are commonly known as jira in Hindi are quite popular for their medicinal benefits since ancient times. It has a spicy flavour and a slightly bitter taste. In India, cumin seeds are the main ingredient in curry powder and “garam masala”. Cumin seeds are generally fried or roasted before usage. They have many medicinal properties like anti-tumour, anti-diabetic, anti-epileptic, Immunologic, antimicrobial etc. 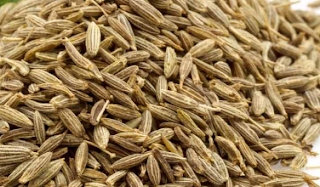 What are Cumin Seeds Called in Hindi and Other Indian Languages (regional)? Cumin seeds is the English name for this spice, it is scientifically called as Cuminum cyminum. It is commonly named as Jira in Hindi, Bengali, Marathi, Oriya and Punjabi, Jiru in Gujarati, Jeerage in Kannada, Zyur in Kashmiri, Jeerakam in Malayalam, Tamil, Jeelakarra in Telugu. Fenugreek is a herb which has light green leaves and small white flowers. This herb is annual in nature. These seeds have a slightly bitter taste. Fenugreek seeds are used in many Indian preparation. For ages fenugreek seeds were used as a condiment to promote better health and healthy hair. Fenugreek seeds are loaded with minerals, vitamins, and phytonutrients. These seeds can be used as a laxative, digestive, and as a remedy for cough and bronchitis. What are Fenugreek Seeds Called in Hindi and Other Indian Languages (Regional)? Fenugreek Seeds is the English name for this spice, it is scientifically called as Trigonella foenum – graecum. It is commonly named as Methi in Hindi, Bengali, Gujarati, Marathi and Oriya, Menthe in Kannada, Meeth in Kashmiri, Uluva in Malayalam, Meth in Punjabi, Venthayam in Tamil, Menthulu in Telugu. Garlic is highly beneficial for our health as well as for our skin, and hair due to the presence of a compound called Allicin which makes garlic rich in medicinal properties. Allicin, when enters the body, spreads its potent biological effect which benefits your body in many ways. 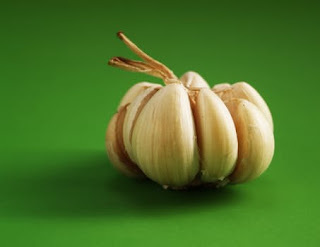 Garlic has the power to instantly liven up any dish and treat some of the most common disorders. What is Garlic Called in Hindi and Other Indian Languages (Regional)? Ginger is an amazing herb that is native to China and India. It has a peppery taste, with a hint of lemon, and a sharp aroma. Ginger can be used fresh, dried, powdered and pickled. It can also be used in the form of juice or oil. For ages It has been used in Ayurveda due to its numerous medicinal properties. Ginger is considered to be a powerhouse of health benefits. What is Ginger (Adrak) Called in Hindi and Other Indian Languages(Regional)? 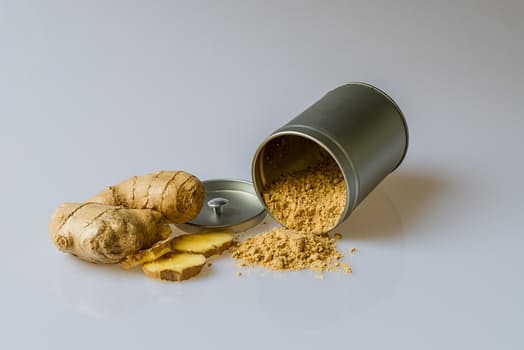 Ginger is the English name for this spice, it is scientifically called as Zinziber officinale. It is commonly named as Adrak in Hindi, Ada in Bengali, Oriya, Adu in Gujarati, Panjab, Shunti in Kannada, Inji in Malayalam, Tamil, Ale in Marathi, Allam in Telugu. Lime peel is the outer skin of the lime fruit. Lime peel has a distinct sour, tart smell. This aroma is very refreshing and hence is used in many body soaps and cleansers. Lime peel is known to have many medicinal properties. It is very effective in treating cough, cold and congestants. What is Lime Peel Called in Hindi and Other Indian Languages (Regional)? 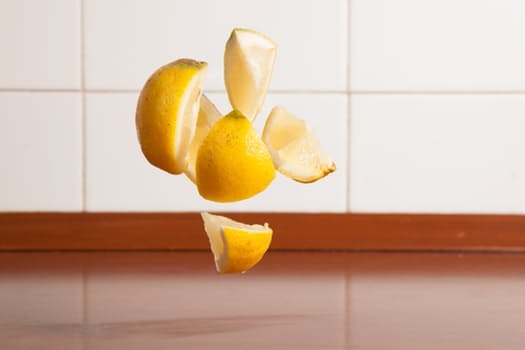 Lime peel is the English name for this condiment, it is scientifically called as Citrus medica var acida. It is commonly named as Neebu ka chilka in Hindi, Lebur Khosa in Bengali, Limbuni chal in Gujarati, Nimbe sippai in Kannada, Cherunaranga tholu in Malayalam, Limbsal in Marathi, Lembri chopa in Oriya, Elumicham thol in Tamil, Nimma thokku in Telugu. Mace is a spice that is made from the outer waxy red covering of the nutmeg seeds. Taste of this spice is somewhat similar to nutmeg with a hint of pepper. Mace is used as both a savory as well as sweet flavor enhancer, it is commonly used as a spice on roast meats. For ages it has been used to treat digestive problems like nausea, diarrhea, stomach spasms and gas. What is Mace Called in Hindi and Other Indian Languages (Regional)? Nutmeg is a popular spice used in indian cuisine. It has many health benefits like relieves pain, soothes indigestion, strengthens cognitive function, detoxify the body, improves skin health, improves oral hygiene, reduce insomnia, increases immunity, and prevents leukemia. Nutmeg is a spice that is delicate, slightly sweet spice and is widely used in cuisines around the world. What is Nutmeg Called in Hindi and Other Indian Languages(Regional)? Nutmeg is the English name for this spice, it is scientifically called as Myristica fragrans. It is commonly names as Jaiphal in Hindi, Bengali, Gujarati, Marathi, Oriya, Jaji kayi in Kannada, Telugu, Zaaphal in Kashmiri, Jathikkai in Malayalam, Tamil. Black Pepper, also commonly known as Kalimirch in Hindi, is known to be very healthy for the body and offer many health benefits. Black Pepper is a common spice used in various delicacies around the world. This spice is used in many dishes in both the whole and the grounded form. It is loaded with nutrients like potassium, magnesium, iron, vitamin K and vitamin C.
What is Black Pepper Called in Hindi and Other Indian Languages (Regional)? Black Pepper is the English name for this spice, it is scientifically called as Piper nigrum. It is commonly named as Kalimirch in Hindi, Punjabi, Golmarich in Bengali, Oriya, Mari in Gujarati, Kari menasu in Kannada, Marutus in Kashimir, Kurumulaku in Malayalam, Mire in Marathi, Milagu in Tamil, Miriyalu in Telugu. Turmeric is often known as the ‘Queen of Spices’, is a very popular herb which is used by people in cooking all across the globe. This amazing spice smell similar to pepper, has a sharp taste and a golden color. Being loaded with nutrients like protein, dietary fiber, niacin, Vitamin C, Vitamin E, Vitamin K, potassium, calcium, copper, iron, magnesium and zinc it is often used to treat many health problems. What is Turmeric Called in Hindi and Other Indian Languages (Regional)? 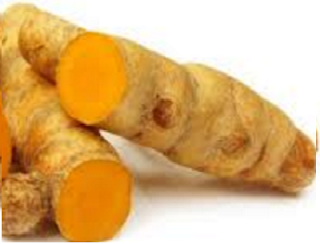 Turmeric is the English name for this spice, it is scientifically called as Curcuma domestica. It is commonly named as Haldi in Hindi and Punjabi, Holud in Bengali, Haldhar in Gujarati, Arashina in Kannada, Lader in Kashmiri, Manjal in Malayalam, Tamil, Halad in Marathi, Haladi in Oriya, Pasupu in Telugu. Tamarind is one of the most palate pleasing food. It has a tangy yet sweet flavour which makes it so desirable. This amazing condiment is used in many indian dishes to add a tangy flavour. It is also used in many chutneys, digestive candies, pickles etc. Tamarind is loaded with vitamins, such as Vitamin C, antioxidants including carotene, minerals, such as magnesium and potassium. 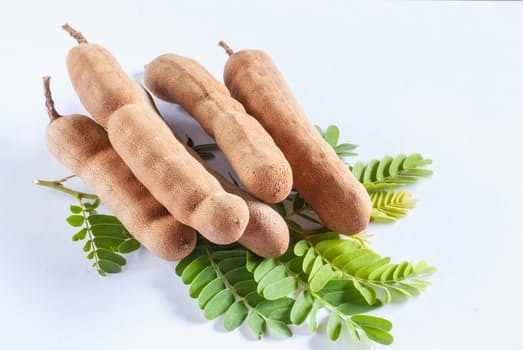 What is Tamarind Called in Hindi and Other Indian Languages (Regional)? Tamarind is the English name for this condiment, it is scientifically called as Tamarindus indica. It is commonly named as Imli in Hindi and Punjabi, Tetul in Bengali, Amli in Gujarati, Hunise hannu in Kannada, Tamber in Kashmiri, Puli in Malayalam, Tamil, Chinch in Marathi, Tentuli in Oriya Chintha pandu in Telugu.